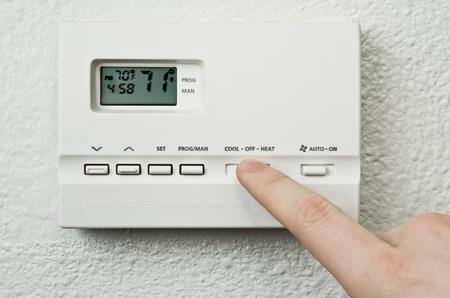 According to the U.S. Department of Energy, heating and cooling your home accounts for 43% of your average utility bill. That’s a huge chunk of your energy costs, so it only makes sense that you should look for ways to keep those costs at a minimum. Add plants around the exterior of your home—Most of the heat that gets into your home enters through the windows or the roof as a result of the sun beating down on your house all day. By planting trees and shrubs around your home, you can provide some shade and block the sun from beating down on your house, helping keep your home a little cooler. Hang out in your basement—If your home has a basement, turn that into a hangout area for your family. Basements are naturally kept cool by being so low into the ground, so you don’t have to crank up the AC to stay comfortable. Don’t use the oven during the day—When it’s hot outside, the last thing you need to do is bring more heat into your home by cranking up the oven for a meal. During the day, try to use the microwave or toaster oven instead to reduce heat in your home. 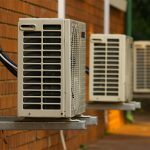 For all your Denver air conditioning needs, contact the friendly, experienced team at Sanders & Johnson. Learn more at www.SandersAndJohnson.com.